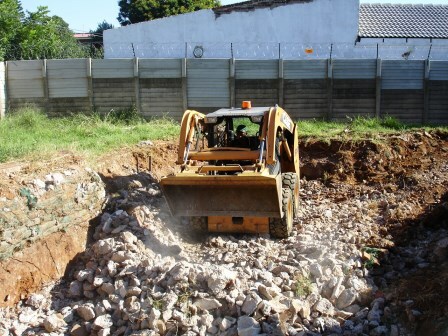 For your convenience CJ Skid Steer Hire can assist with light demolishing of semi-deconstructed houses or burnt down houses. 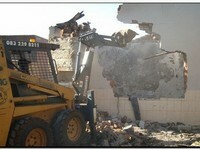 Rates are quoted according to amount of rubble needed to be removed, time spent with Skid Steer (Bobcat). 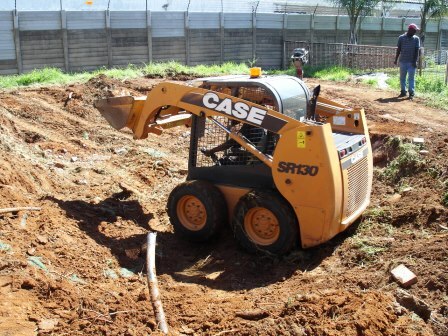 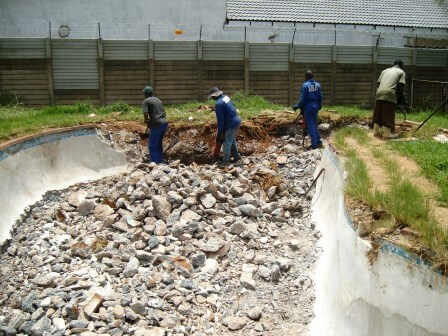 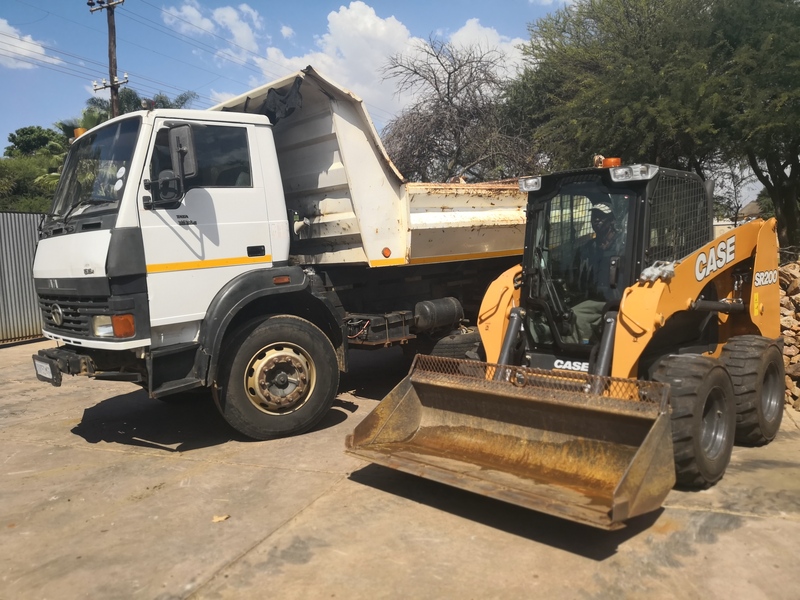 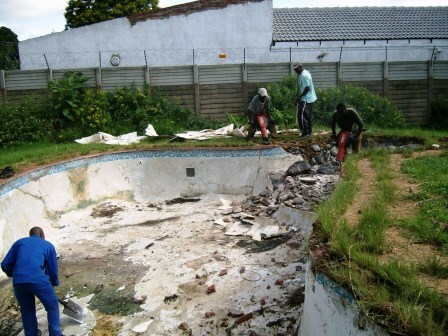 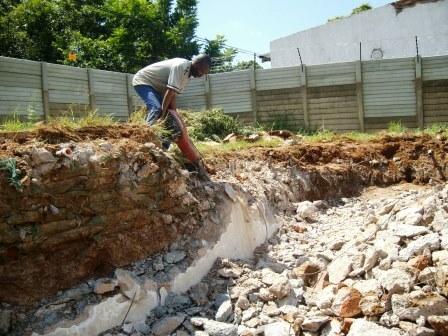 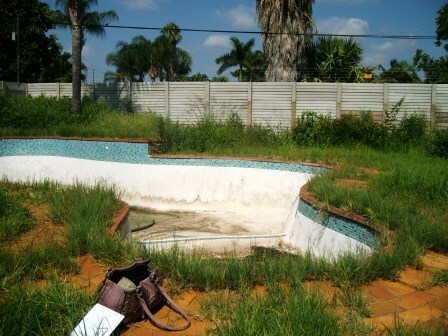 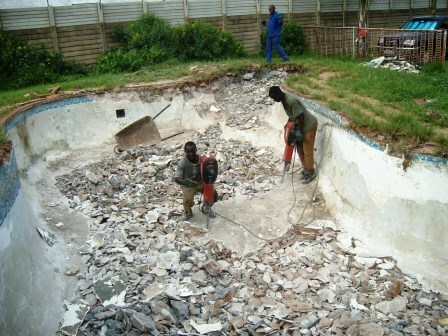 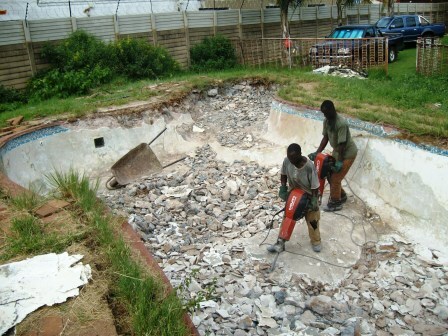 C J Skid Steer Hire has broken up a damaged swimming pool, compacted the rubble as well as the ground and leveld the ground.